The Much Anticipated ‘Race 3’ Trailer is Here! The much-awaited first trailer for the upcoming Eid release Race 3 – starring Salman Khan and Anil Kapoor, hit the web last week and the response has been tremendous! 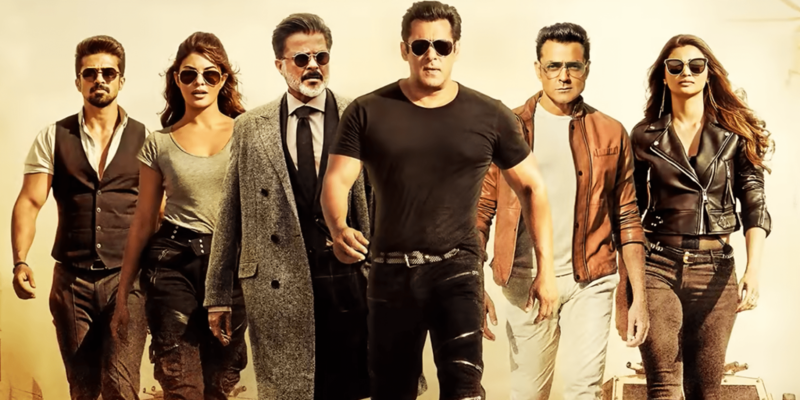 Ace choreographer turned director Remo D’Souza helms the edgy and glamorous action thriller where Anil Kapoor is a business tycoon (who will do anything to save his portfolio), Daisy Shah and Saqib Saleem play his children, and Salman Khan is the “blue eyed boy” in the family. Jacqueline Fernandez features in action sequences and so does Bobby Deol (who appears to be Anil Kapoor’s rival in business). The latest instalment of the Race movie was extensively filmed in UAE’s capital Abu Dhabi. The adrenaline packed stunts and bombastic dialogues take place against the backdrop of some of Abu Dhabi’s snazziest locations – including Yas Viceroy and Liwa Desert. “Our shoot went seamlessly thanks to the incredible support of organisations such as twofour54, Abu Dhabi Film Commission and, of course, the UAE Armed Forces, without whom we would never have been able to create such high-octane action sequences,” said Remo D’Souza in a statement. Race 3 will be the fifth Bollywood-feature film to be shot in Abu Dhabi after Baby, Dishoom, Bang Bang! and Tiger Zinda Hai. Soon after the release of the trailer, Twitterati went no holds barred reacting to how awesome the upcoming film looked. And not just fans, when it comes to Salman Khan, Bollywood doesn’t hold back emotions either. 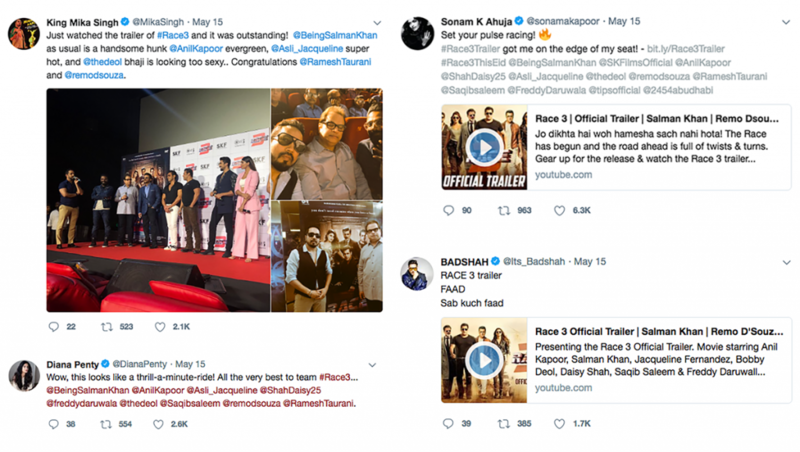 From Bollywood divas Sonam Kapoor and Diana Penty, to singers Mika Singh and Baadshah, all chimed in to rave about the trailer and extend their good wishes to their ‘bhai’. The blockbuster is scheduled to release across cinemas in the UAE, Oman, Qatar and Bahrain on 14th June 2018. Contact a member of our sales team to align your brand alongside this MEGA Bollywood blockbuster – guaranteed to attract large Asian audiences.